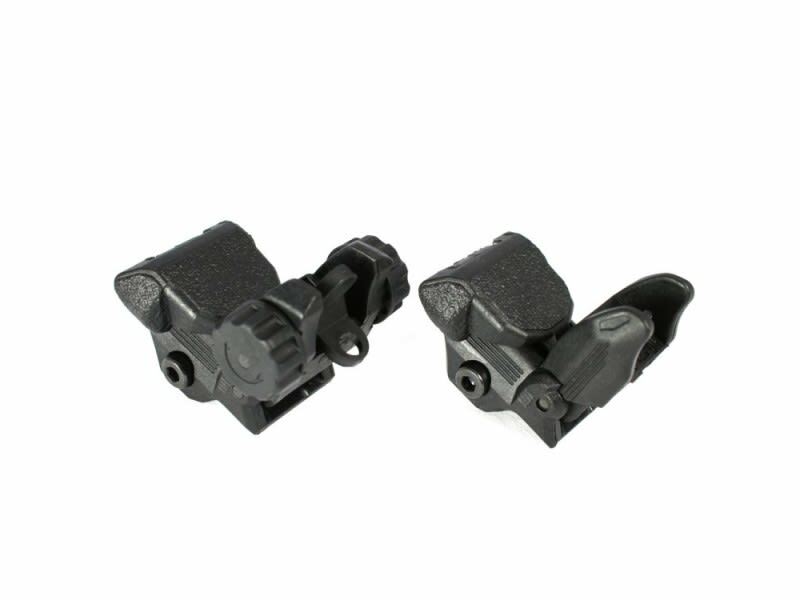 These low-profile flip-up sights are designed to be lightweight, easy to use and durable. They attach snugly to Picatinny/Weaver style rails and can be activated via a large, textured, thumb-slide button. They are capable of full windage and elevation adjustment. They're finished in a non-reflective matte black and molded from high-density polymer. 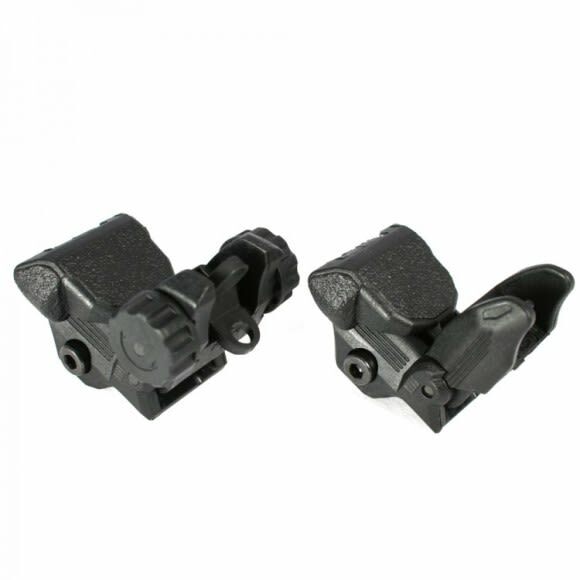 These low-profile flip-up sights are designed to be lightweight, easy to use and durable. They attach snugly to Picatinny/Weaver style rails and can be activated via a large, textured, thumb-slide button. 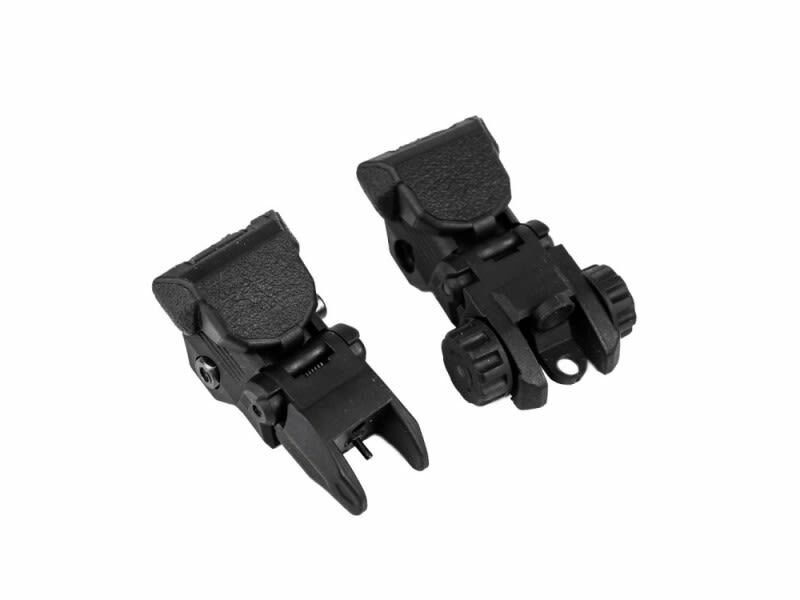 They are capable of full windage and elevation adjustment. They're finished in a non-reflective matte black and molded from high-density polymer. Look at these features.